The Commission “non-paper” – EU jargon to mean it’s not official – is an update of the analysis presented in November 2016 when the EU executive tabled its ‘Clean Energy for all Europeans’ package of legislation, which included a headline target for Europe to source 27% of its energy needs from renewables and cut energy consumption 30% by 2030. It comes as EU legislators started three-way talks this week to rewrite EU directives on renewables and energy efficiency, which are two key elements of the package. In December, EU member states backed the proposed 27% target for renewables but the European Parliament later voted in support of a higher target of 35%. Both need to agree an identical text before the new law can be enacted, signalling tense talks ahead. Anna-Kaisa Itkonen, a Commission spokesperson, confirmed to EURACTIV that the document was indeed finalised on Thursday (1 March), and will be circulated to the European Parliament and Council. “Our proposals are now with the co-legislators, and to help them take their final positions based on the most recent evidence available, the Commission today has finalised a technical update on the potential impact in terms of emissions reductions on the energy efficiency and renewable energy objectives,” said Itkonen, who is spokesperson for Miguel Arias Cañete, the European Commissioner for Energy and Climate Action. 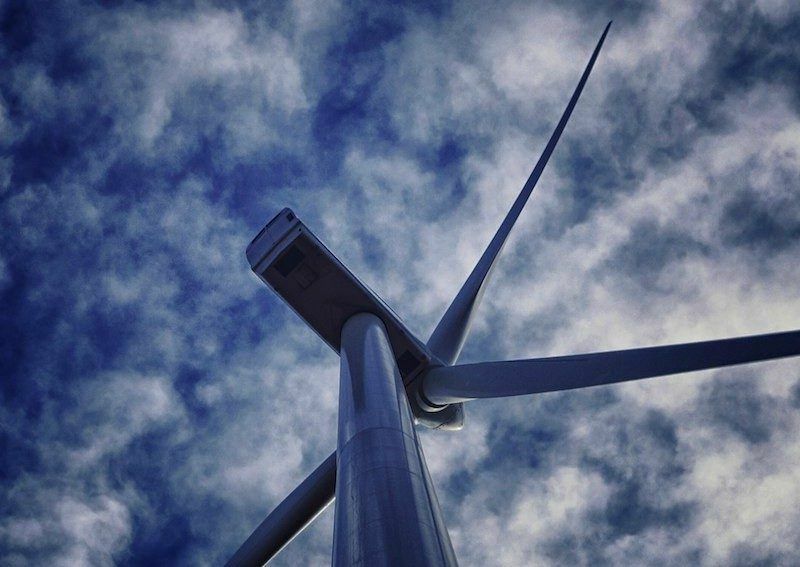 The Commission document contains updated policy scenarios, based on revised assumptions of renewable energy technology costs, including wind and solar. “Lower technology costs make the achievement of a 27% renewable energy target by 2030 (coupled with 40% GHG emission reductions and 30% energy efficiency) cheaper by €2.9 billion per year in the period 2021-30 and by €6.9 billion per year for the period 2021-2050,” says the updated analysis. The falling costs are explained by lower investment needs for the same renewable electricity capacity, the paper adds. “Overall, total investment savings in all power generation amount to €14 billion over the period 2021-2030,” the document says. “Instead of investing €394 billion over the 2021-2030 period, only €380 billion is necessary to reach a similar renewable energy target”. “This, in turn, translates into renewable energy support costs passed on to final electricity consumers and electricity prices that are lower by respectively 4% and 0.5%,” the document adds. 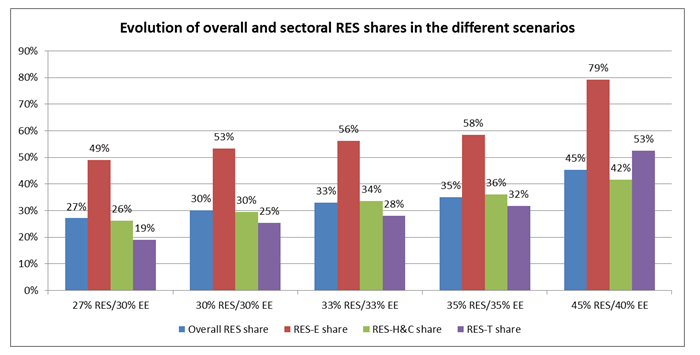 In the residential sector, the analysis says renewable energy produced by heat pumps for heating and cooling “significantly increases” with a higher renewables target – ranging from +13% to +122% depending on the level of ambition. And in the transport sector, the number of electric vehicles slightly increases with the level of ambition as well. “The updated figures create a completely new context for the ongoing Clean Energy Package negotiations,” said Jean-Francois Fauconnier, Renewables Policy Coordinator at CAN Europe, an environmental pressure group. “They should serve as a wake-up call for the Council. Instead of clenching unambitious and outdated targets, Member States should join the Commission and the European Parliament in their call for more ambition,” Fauconnier added. “Only the targets approved by the European Parliament – for a minimum 35% binding target to increase energy efficiency and a 35% binding target for renewables in the energy mix by 2030- would guarantee that the EU meets its Paris Agreement commitments,” said Van Brempt. “So we encourage member states to think again, trust in science and listen to the experts and the Parliament as the representative of the European people,” she said. 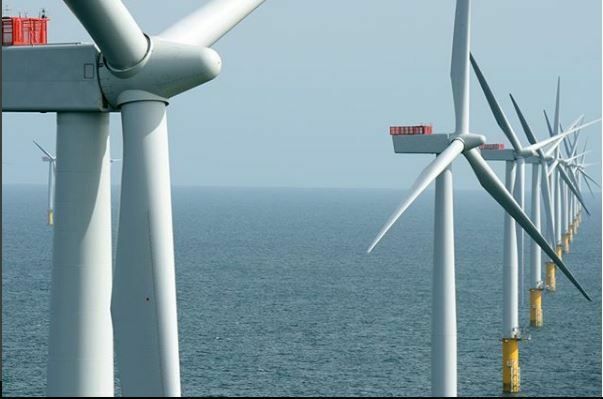 Wind power enjoyed a record year in 2017, as more offshore capacity was installed than ever before. Renewable energy in general continued to grow and the EU generated more electricity from clean sources than coal for the very first time. Although the non-paper does not alter the Commission’s official proposal, it will help inform discussions between the European Parliament and Council negotiators, EU officials said. “The distribution of this modelling note does not prejudge the position of the Commission in the ongoing informal negotiations: at this stage of the legislative procedure the Commission stands by its original proposal,” Itkonen told EURACTIV in e-mailed comments. The updated analysis is the latest sign that the EU executive has switched gear on renewable energy since the Clean Energy package was tabled in November 2016. Miguel Arias Cañete, the EU Commissioner for Energy and Climate Action, is now openly campaigning to raise the EU’s level of ambition on renewables and energy efficiency. The Spanish Commissioner recently attended the launch of a report by the International Renewable Energy Agency (IRENA) in Brussels which found that the EU could double its share of renewables to 34% by 2030, “with a net positive economic impact” on the economy. “The report confirms our own assessments that the costs of renewables have come down significantly in the last couple of years, and that we need to consider these new realities in our ambition levels for the upcoming negotiations to finalise Europe’s renewable energy policies,” Cañete said at the Brussels launch of the IRENA report. 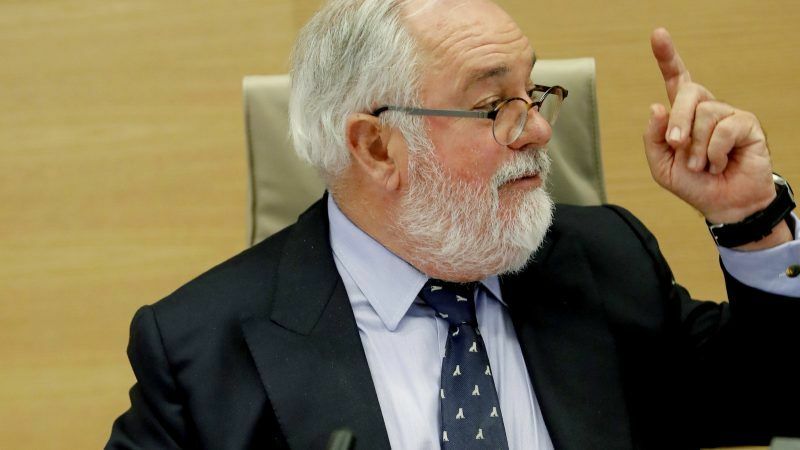 As trialogue talks on renewables kicked off in Brussels this week, Cañete again referred to the IRENA report on Tweeter, saying that doubling renewables by 2030 was “positive for the economy”. The European Commission’s updated analysis was announced in November by Maroš Šefčovič, the EU’s Vice President in charge of the Energy Union. 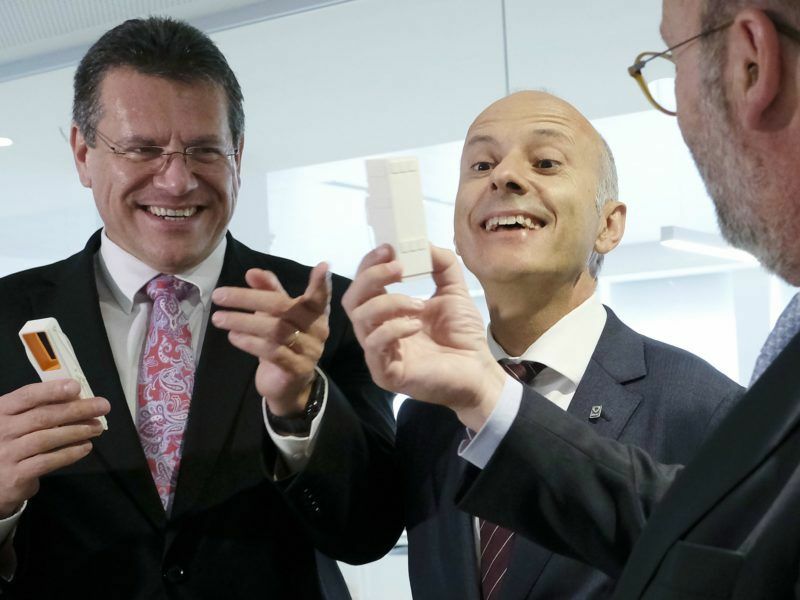 Citing an “impressive fall” in renewable technology costs, Šefčovič called for a revision of the EU’s modelling, saying that a 30% renewable energy target was now “affordable”. The Commission’s updated analysis gives fresh ammunition to campaigners pushing for higher ambition on renewables and energy efficiency. 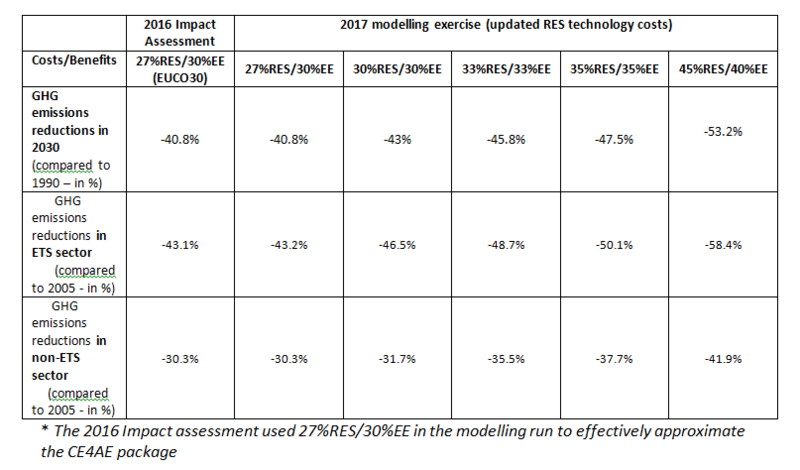 “The Commission’s updated economic modelling confirms that, thanks to the dramatic decrease in renewable energy technology costs over the past few years, reaching a 45% renewable target and a 40% energy efficiency target does not bring substantial additional costs,” said Jean-Francois Fauconnier of CAN Europe. “To the contrary, such a 45%-40% scenario entails the biggest benefits in terms of greenhouse gas emissions reductions, decreased import dependency, especially from gas, and GDP,” he added, citing Commission figures showing that the cost is “actually €3.5bn lower per year when looking over 2021-2050”. 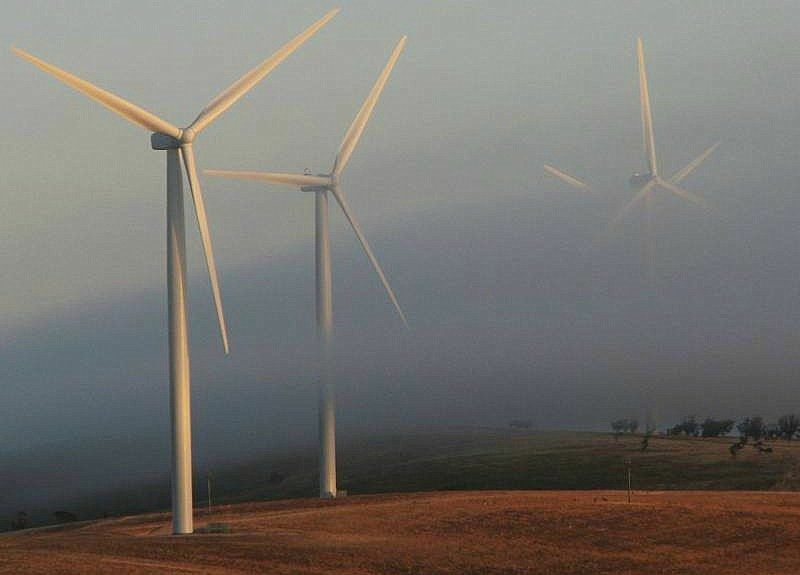 The cost of generating electricity from renewable energies is set to reach new lows worldwide, according to projections by the International Renewable Energy Association (IRENA), published on Saturday (13 January).